Savannah Beauty Centre & City Day Spa exclusive Gifts now available to purchase securely online. 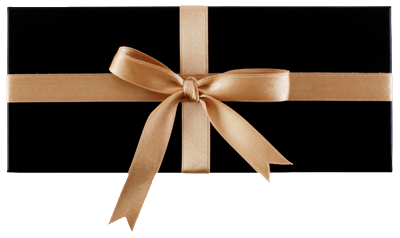 Personalise a gift voucher, add a message, preview and send it instantly by eMail or SMS Text. 1 hour luxurious spa treatment, a glass of champagne, a cupcake, full use of facilities including gym, pool, Jacuzzi, sauna and steam room. 1 hour luxurious spa treatment, afternoon tea including scones, sandwiches, cakes, coffee or tea, full use of facilities including gym, pool, Jacuzzi, sauna and steam room. 1 hour luxurious spa treatment, champagne afternoon tea including scones, sandwiches, cakes, coffee or tea and a glass of champagne, full use of facilities including gym, pool, Jacuzzi, sauna and steam room. The LUXURY Pampering Day Experiences includes full use of the fabulous hotel facilities including gym, pool, Jacuzzi, sauna and steam room, a 2 course champagne lunch with freshly prepared by award winning chef Richard Lyth, 1 hour treatment and afternoon tea or morning coffee and a Danish pastry or scone. Available Monday - Friday only. 1 hour luxurious spa treatment, 2 course dinner in dining room with a glass of wine, full use of facilities including gym, pool, Jacuzzi, sauna and steam room. The LUXURY Pampering Day Experiences includes full use of the fabulous hotel facilities including gym, pool, Jacuzzi, sauna and steam room, a 2 course champagne lunch with freshly prepared by award winning chef Richard Lyth, 1 hour treatment and afternoon tea or morning coffee and a Danish pastry or scone. Available Saturday - Sunday only. The LUXURY Pampering Day Experiences includes full use of the fabulous hotel facilities including gym, pool, Jacuzzi, sauna and steam room, a 2 course champagne lunch with freshly prepared by award winning chef Richard Lyth, 2 hours of luxurious spa treatments from an extensive range and afternoon tea or morning coffee and a Danish pastry or scone. Available Monday - Friday only. The LUXURY Pampering Day Experiences includes full use of the fabulous hotel facilities including gym, pool, Jacuzzi, sauna and steam room, a 2 course champagne lunch with freshly prepared by award winning chef Richard Lyth, 2 hours of luxurious spa treatments from an extensive range and afternoon tea or morning coffee and a Danish pastry or scone. Available Saturday - Sunday only. If you have a query or special request please call 0141 334 0077.